Apparently, there are three versions of this lens. I have the "good" one made by Cosina. It can be identified by serial number 09xx, the 67mm filter thread, and Series 1 with diagonal stripes embossed on zoom ring. My copy has a scratch on the front element, which does not appear in photos, but may affect sharpness and contrast. I am using the lens with adapter on a FujiFilm X-T20. • Construction is solid. It is heavy compared with modern zooms, but still comfortable to use. There is no zoom creep on my copy. Front element does not rotate when zooming or focusing. • One-touch zoom is pleasant to use. Varifocal, but doesn't matter much because focus is likely to shift anyway while zooming. • Can focus down to just a few inches. • Veiling glare is moderate. Images retain enough contrast that they are still usable with post processing. • Image character: Bubble bokeh with mild "glow". Ghosting and purple fringing can be induced. • Only moderately sharp wide open. It is sharper stopped down, but aperture on my copy is unreliable. It seems sharpest at 28mm and 50mm, not as good at 35mm and 105mm. • "Glow" effect interferes with focus peaking, but focusing is still not too difficult. Conclusion: Those who already own this lens would likely enjoy using it. However, I was disappointed because it is not very sharp. After reading the reviews, including those on this page, I was expecting a better lens, especially since I was getting the "good" version of the lens. Recommend seeking a better, sharper lens, such as the Vivitar Series-1 28-90mm F2.8-3.5 (made by Komine). 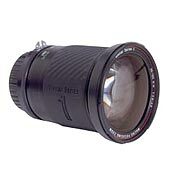 I bought the AF version of this lens from Amazon about 5yrs ago for < $200. It has been used as the indoor walk around lens for my Sony A700, primarily family gatherings and office functions. Sharpness is good throughout focal range and colors are acceptable. However, build quality is poor and I hate the push/ pull zoom. The lens is noisy and does hunt some. I just purchased a Sony A77 and acquired a legacy Minolta 28-105mm. If the Minolta works out like other Minolta lenses in my collection, the Vivitar will be up for sale. It will be perfect for a photographer on a budget who desires a cheap, effective lens. - If I am not mistaken it has 9 aperture blades (I left it at home while making this review). - Push pull zoom, sometimes not convenience to use, but it makes zooming faster though. - Varifocus. I wish I don't have to re-adjust the focus after zooming. I grab this lens in HK quite cheap. I have the cosina brand version with 72mm filter size. Never read about this lens before, but after 1-2 shots tried at the shop and see the result from my ist DS LCD, I felt something special about this lens and bought it before back to the airport and go home. Never regret a bit. This lens is very sharp and contrasty when we got the focus spot on. I also fell in love with the bokeh it produces, very smooth and the color also render very well...oh 1 more thing, it is a KA mount.....so it only lack auto focus on my digital body. I purchased this lens in 92 for a trip that unfortunately I never took. I put it away and forgot I even had it. I have the 67mm with rubberized grip, etc. This is an excellent lens. I just wish I could find a way to use it with my more recent camera purchases. The optics are still superb and the zoom feel is perfect. Hope this helps. Sharp pictures with good contrast and saturation. Hard to be sure you have the rigth version of the Series 1 28-105mm lens. These reviews are not all reviewing the same Vivitar Series 1 lens. As was mentioned by one reviewer, there are two versions with a 67mm filter size and one with a 72mm filter size for a total of 3 series 1 lenses in this focal length. The one of the three that is far and away the best in the one that looks just like the picture at the top of the reviews and has a 67mm filter size. It has a lens/grouping of 14/12. It is metal, shiny, heavy, solid, and with no slack in the zoom barrel. It produces beautiful shots that are pleasantly saturated and very little distortion at the wide open 28mm. It is a great lens that causes confusion due to its three different iterations. The one I have, which is the 14/12 with 67mm filter and Series 1 embossed on the fat rubber grip ring is an excellent buy and highly recommended. The pictures are very sharp. The faster lens permits working in much lower light or with slower film (100 instead of 400). The viewfinder prism is much easier to see and focus with due to the brightness of the lens. With the included lens hood I did not have flare even in sunny winter weather. It can take well detailed close ups in its "macro" range, but the lens is not quite the equal of a real 1x1 macro lense, such as the Vivitar 100mm. But due to the good sharp detail, the close up photo can then be enlarged beyond life size and still look impressively detailed. The "varifocus" quality of the lense means that it needs slight refocusing when it is zoomed in or out. The zoom aspect of the lens is the push-pull variety, but fairly loose, so it can slide up or down when pointing the camera upward or downward. The left hand needs to brace the lense at the selected zoom when shooting at these angles. At 105mm and in closer macro focus distances, the lense locks into 105 range and stays there, a plus. This lens is much brighter to look through than similar 28-80mm zoom lenses, due to the 2.8-3.8 aperture. The objective lense is really enormous in comparison to typical zoom lenses, which is probably why it is a full f stop faster (2.8 to 3.8) and capable of tack sharp pictures. As a black and white type photographer using a manual focus Nikon, brightness and sharpness are crucial. This lens delivers very sharp photos in black and white when well focused. My camera has never seen a roll of color film, so I can't comment on its capabilities to produce color images. Nikon 35-70mm. Vivitar 100mm Macro. Vivitar 75-300mm. Sharp, contrasty optics. Solid construction. A hot environment (car parked in the sun) can ruin it. I think a disservice is done here to the folks who do not know that this lens was available in at least 3 variants. The GOOD one has the shiny black finish with rubber grip with Series 1 embossed on it and a 67mm filter size. It is, in my experience, as good or better than anything Canon made in the same time frame. The lens I have was made by Cosina, and their quality was either on or off. By that I mean that they produced both good and not-so-good lenses, and their quality would wander about even within the same model. SO, I happen to have a good one. Your mileage may vary. Front ring does not turn. Feels solid. Macro is quite fine. Optics: sharpness only sufficient for small prints color and contrast very flat. Mechanics: Zoom to smooth, focus not reached. Is it still sold? This lens was the first I had on my camera, and it was a complete piece of crap. The zoom is too smooth (try to make a long time exposure pointing upward - at whatever focal length you start, you''ll finish your exposure with 28mm). I had problems finding the focus for infinity at all focal lengths. There is significant vignetting and distortion at all positions, vignetting is down to acceptable at f/8 or f/11. Optics will blow you away.